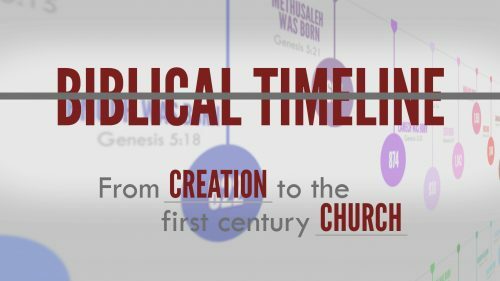 Understanding the timeline of biblical events from Creation to the Church is necessary to fully appreciate God’s Word. John Hall has developed one of the most valuable timeline studies depicting the history of humanity. This ten-lesson program makes a great study, and you will enjoy the information-rich lessons packed with beautiful graphics to help the viewer better visualize the material. 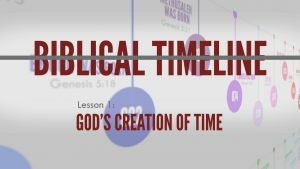 Have you ever wondered “Why study the Bible with respect to time?” or “Why did God create time?” In this first lesson to “Biblical Timeline,” John Hall answers these questions as an introduction to the Creation account. The first book of the Bible, Genesis, says much about time and is referenced many times throughout the Bible. 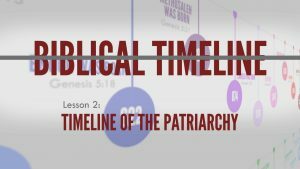 In this lesson, John Hall begins his discussion of the “Biblical Timeline” with the book of Genesis and discusses the lives of many of the patriarchs in relation to the timeline. The book of Exodus and Deuteronomy recount the Israelites’ escape from Egypt and their years of wandering until they finally reach the banks of the Jordan river. In this third lesson of the “Biblical Timeline,” John Hall presents an in-depth study on this period of time. Following the period of the judges, Israel was governed by kings. 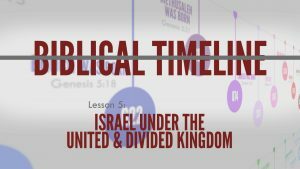 As a united kingdom Israel was ruled by Saul, David and Solomon. 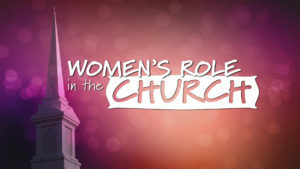 Then as a divided kingdom, Israel and Judah, each group had a succession of kings. 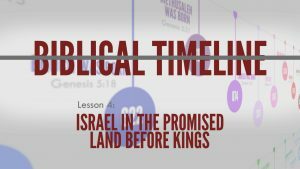 Join John Hall as he studies the time period of the kings. 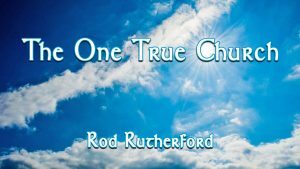 Sadly, the Israelites turned away from God’s commandments and began worshiping false gods and partaking in other things contrary to God’s will. God used worldly nations, such as the Babylonians, to bring judgment on the Israelites. In this lesson, John Hall examines the years known as the the Israelites’ Babylonian Captivity. 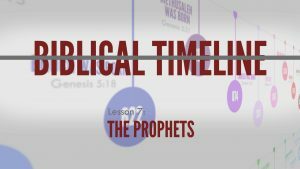 The time between the pages of the Old Testament and the New Testament are known as the Intertestamental Period. 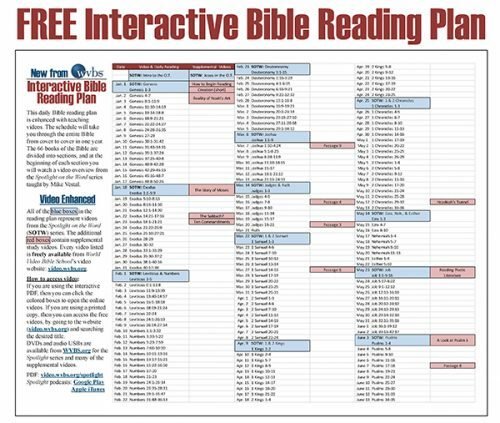 While the Bible does not give specific dates for events that occured during this time, it does provide the order for many of events that happened. 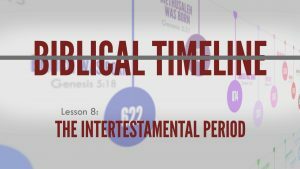 Join John Hall in this video lesson as he examines the Intertestamental Period. Using what we read in Scripture, as well as recorded secular history, we can gain a deep understanding of the times and places of the first century. 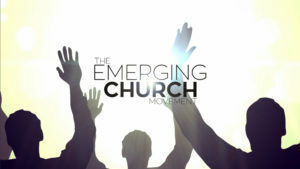 The Scriptures reveal much about Jesus’ earthly ministry, including the events, places, and people that surrounded Him. In this lesson, John Hall takes an in-depth look at the life of Christ. 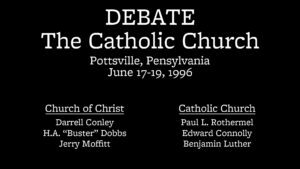 The book of Acts picks up after Christ’s death and ascension to heaven and it records the establishment of the New Testament church. In the years to follow, Jesus’ saving message would be spread throughout the world, and even to us today. 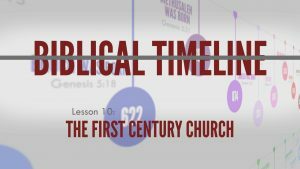 In this concluding lesson, John Hall presents a lesson on the “Biblical Timeline” of the first century Church.